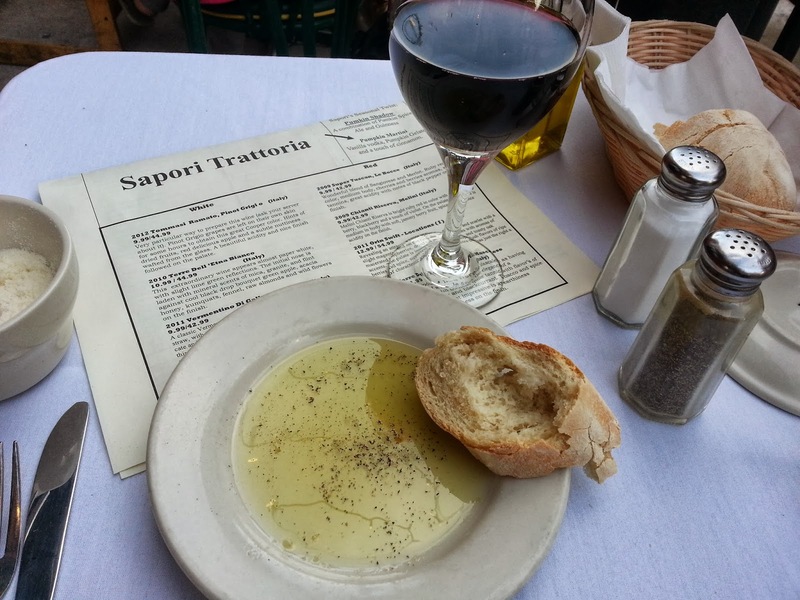 Last week I traveled back to Italy at Sapori Trattoria in Lincoln Park. I've walked by this restaurant a hundred times and heard rave reviews so it was about time I took a seat under the hanging lights to enjoy some authentic Italian food. First of all the freshly baked bread is phenomenal (so good in fact I almost asked for more). They also have an extensive wine list and I would highly recommend their Pinot Noir. 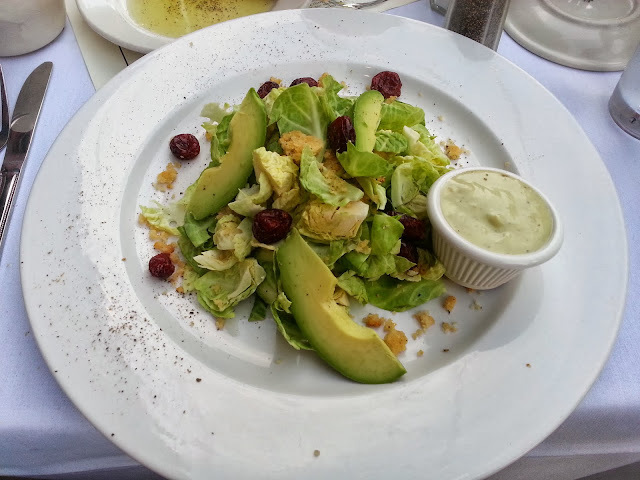 I ordered their new fall salad with brussel sprouts, avocado, dried cranberries, parmesan crisps, and an avocado buttermilk dressing with wasabi. It was a delicious blend of some of my favorite fall ingredients and perfect for a light meal. 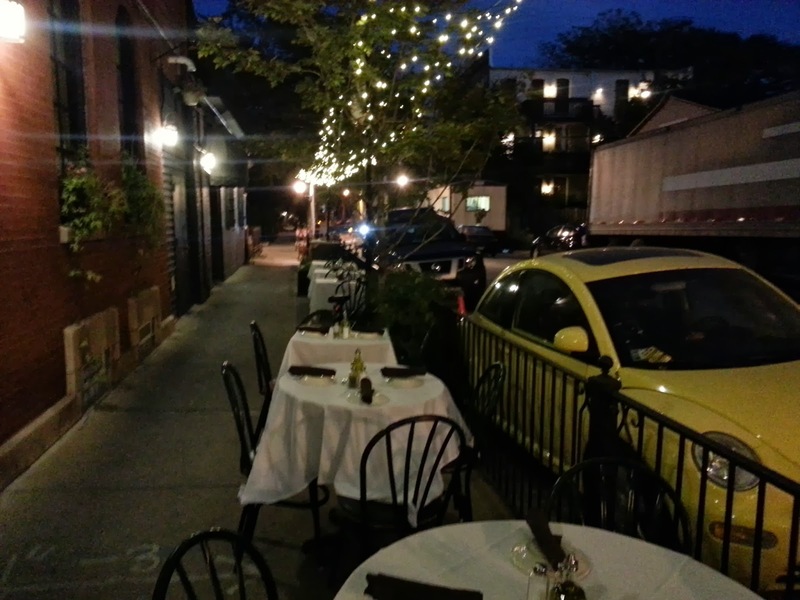 Sapori Trattoria's patio was the perfect setting for enjoying my last al fresco meal of the season. If there were a few Vespa's parked along the street I might actually think I'm in Italy. Sapori Trattoria also has a beautiful interior space so make a reservation head over to this Italian gem in Lincoln Park.